The Liberty Casting Company, 550 Liberty Road in Delaware, was the site of an explosion on Tuesday night that injured several workers. The cause of an explosion that injured five people is still under investigation, according to the Delaware Fire Department. City of Delaware Fire Chief John Donahue said Wednesday that the investigation remains ongoing into the explosion that occurred Tuesday around 10 p.m. at the Liberty Casting Company, 550 Liberty Road, Delaware. Donahue reported to the Associated Press that four people were taken to The Ohio State University Wexner Medical Center for treatment after the explosion and reported that one worker was transported to Grady Memorial Hospital but later released. The Liberty Casting Company did not respond to a request for comment Wednesday. Donahue reported that when firefighters arrived at the foundry, they immediately began to give care, treatment and transportation to the injured workers. The Associated Press reported that the fire had been extinguished by the time fire officials arrived, and Donahue also reported that fire units investigated the facility to ensure the fire was out. No firefighters were injured during the call, Donahue reported. 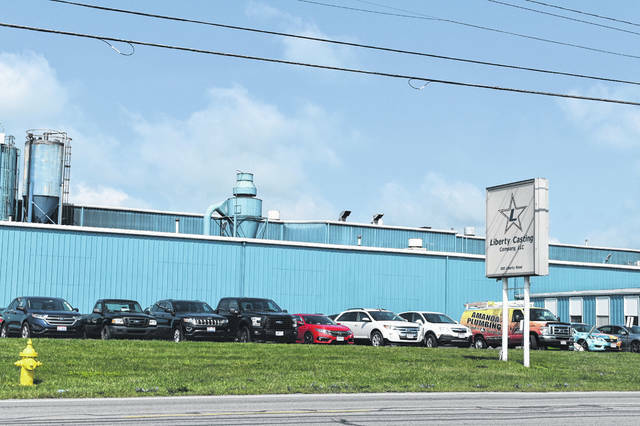 According to the company’s website, “Liberty Casting is a jobbing foundry specializing in Gray, Ductile and High Alloy Iron Casting.” The website also reports that Liberty Casting employs approximately 100 employees.